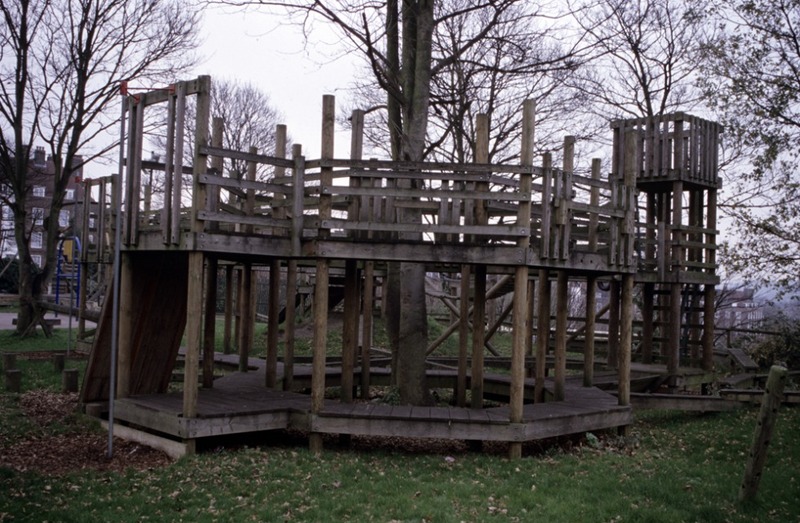 Very little of Dog Kennel Hill Adventure Playground's history is known. It is thought to been have started in the 1970s by local residents and since then has won an award for its design. The playground is situated on a sliver of land set in a small wooded area and some structures incorporate trees into their designs.